HuffPost disputes New York Post report that it's shutting down the section. 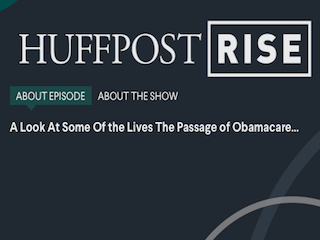 The Huffington Post is disputing a report that it is shuttering its “Rise” section. The New York Post reported that the lifestyle, impact and inspiration section was shutting down and that 20 people were being let go. “Since [editorial director Danny Shea] left, there was really no one in charge,” a source told the Post. However, some contractors were not renewed after their Rise projects came to an end.